April Fools’ Day in Crossout: Can Those Battles Get Any Crazier? 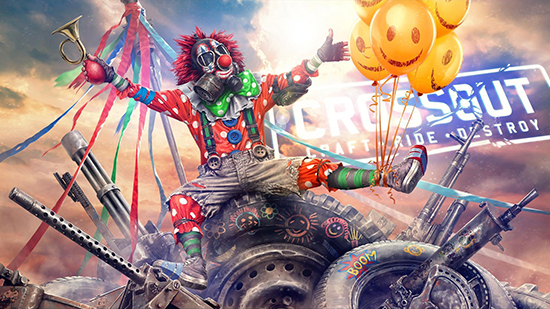 Join the craziest battles of the year in Crossout, the post-apocalyptic online action game. 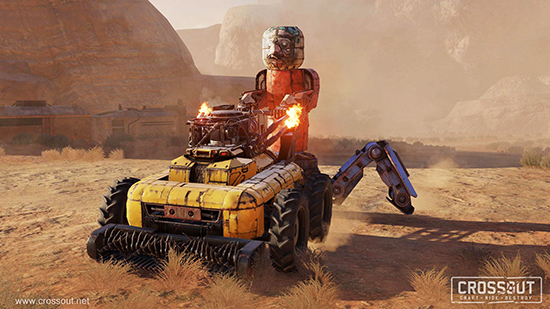 From March 28 to April 3, join the “Dude, Where'd You Get The Car?” Brawl and meet some of the funniest and strangest fighting machines ever created by the players. 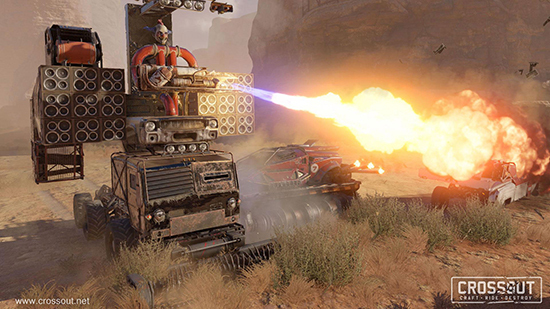 At the start of the Brawl, each participant will be randomly assigned one of 59 different vehicles selected by the Crossout developers, all of which were crafted by the players and uploaded to the game’s “Exhibition”. Available vehicles range from giant, rocket-armed crabs and crazily oversized lawn mowers to fire-breathing ducks, jet-powered, pink elephants and even more extraordinary creations. But despite their funny appearance, all of these vehicles are absolutely deadly in combat. Players have only seconds to familiarize themselves with whatever vehicle they’ve been assigned before 8 of them will clash with each other in a ruthless, chaotic battle. 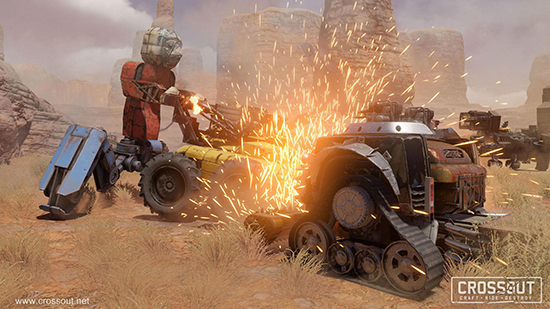 With every respawn, players receive a new, random vehicle and since there’s no limit on the amount of respawns per battle, there is plenty of time to discover what some of the most creative creators in Crossout have come up with. The winner of a match will be whoever destroys 10 enemy vehicles first, or has the most kills after the time has run out. 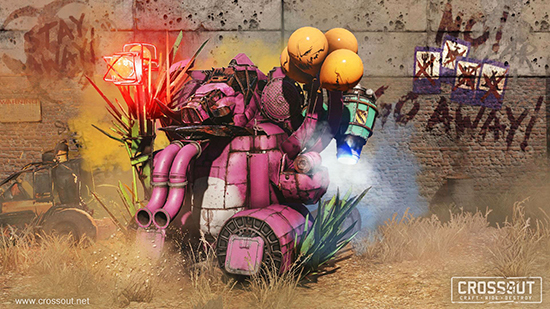 As special rewards, players can receive exclusive decorative items as well as decals for their vehicles. The Brawl is open to all players that have reached at least level 4, which will take completely new players roughly 15 minutes and offers plenty of opportunities to get familiar with the basics of the game. 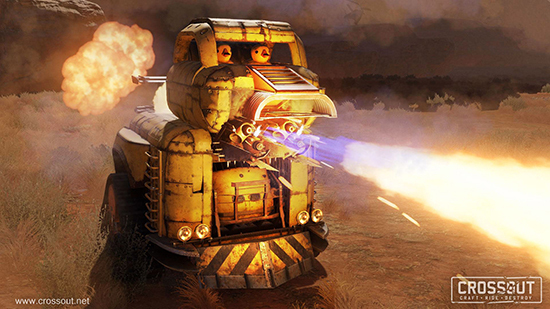 Immediately after the April Fool’s events have concluded, the ‘Knights of the Wastelands’ are set to return to the world of Crossout. From April 4 to April 17, players can gain new and exclusive weapons and components for their vehicles for ‘Thalers’, a special coin which can be earned by playing certain PvP missions. The unique vehicle cabins and weapons of the ‘Knights’ can only be obtained during their presence - which means that the market for their items will boom after their departure. Time to gather a team and stock up on the goods! 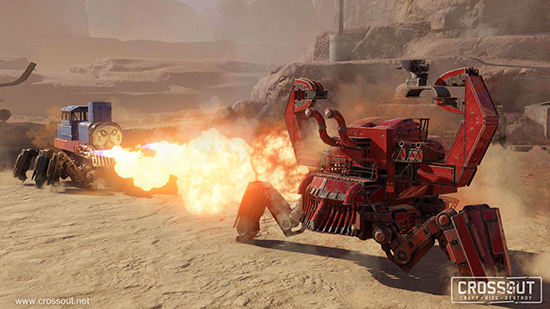 Set in a post-apocalyptic world, Crossout is an MMO vehicle combat game available on PC, PlayStation 4 and Xbox One, offering players complete customisation in building and upgrading deadly armoured vehicles to destroy enemies in open PvP and PvE battles. 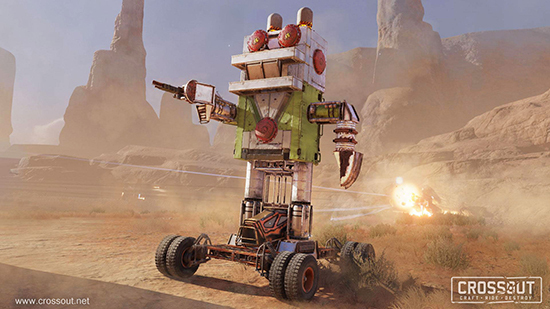 Crossout gives players thousands of possibilities to design their vehicle, including shape, armour, weapons, support systems and, of course, cosmetic enhancements.